Adjustable waist. Closure is a snap button with zipper. 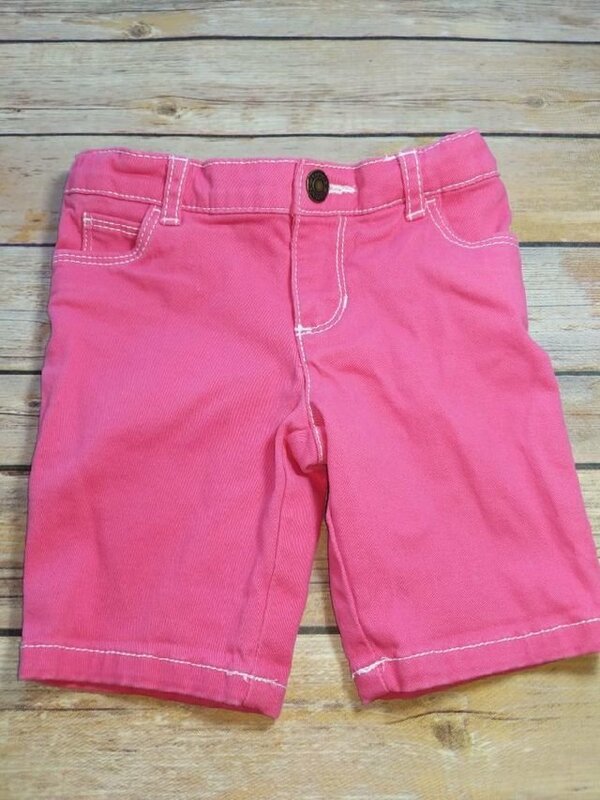 Bermuda-length shorts.